When I was in high school, my family moved to a small town into a house that was built in the 1770s. It was a beautiful old house, but we did not have any central heat or air conditioning. That meant that during most of the year, our windows were always open. There was an old hollow tree in our front yard that was home to a pair of barn owls. That tree was just outside my window, so most nights, I was lulled to sleep by their calls. Thus began my love affair with owls! They are such beautiful animals, and if you’ve ever been fortunate enough to see any in real life, you are aware at their silent grandeur! When my boys were little, they collected several owl stuffed animals, and I started scouring the shelves for books to go along with their interest in these wonderful creatures. 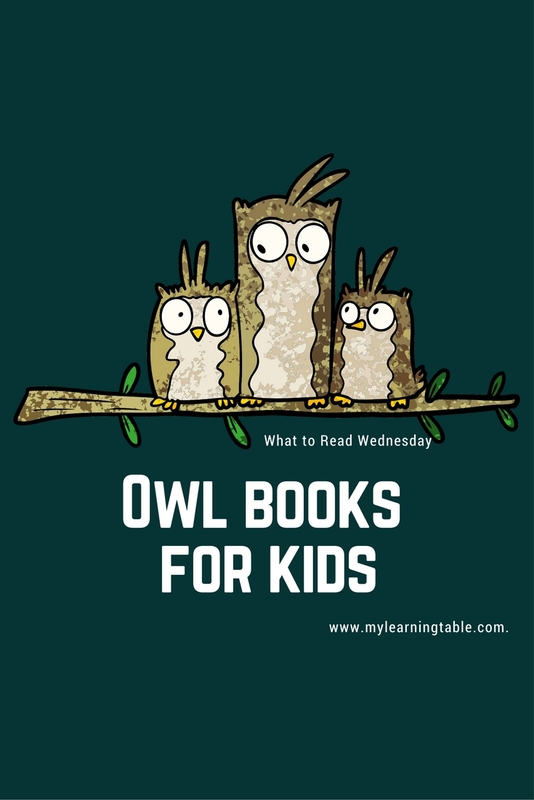 Today, I am sharing my favorite owl books for kids. These are for your younger crew, but I will also post a list of some owl related books for middle grade readers soon. We have owls in our back yard too, and there have been evening where I did not want to come inside because their soft conversations are more interesting than anything else I can think of on a summer night. I agree, Michele! What a beautiful way to spend an evening! These are all so great! Though we have not yet read Adopted by an Owl. My son’s favorite owl books are the Guardians of Ga’hoole series. Thanks for hosting.